Do you love your pet, but hate the hair they leave behind? 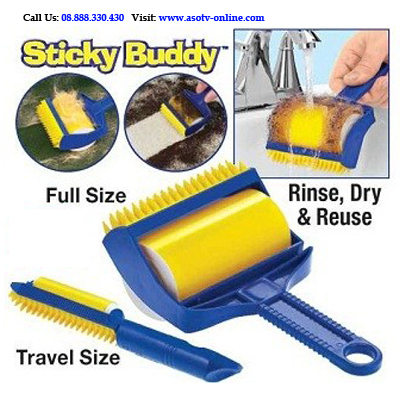 Introducing the Sticky Buddy, the super sticky lint roller that has the power of glue without the goo! Use it to remove cat hair, dog hair, crumbs, cat litter and much more! 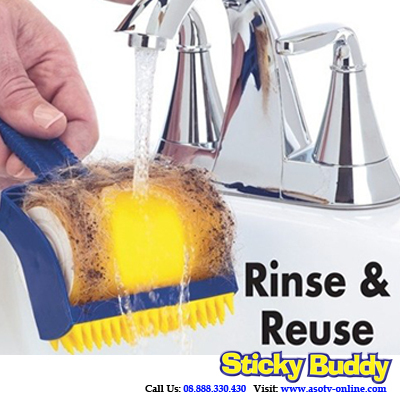 The Sticky Buddy is safe on all types of fabrics and can be used to clean your clothing, comforters, furniture and even the upholstery in your car. It even has little rubber fingers to reach deep into carpets to remove ground in messes. And the best part is that the Sticky Buddy is reusable! Simply clean it with soap and water and let it air dry. 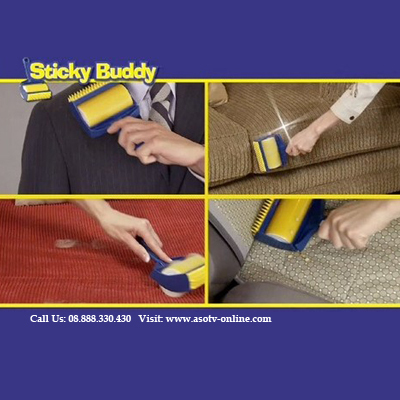 In no time, your Sticky Buddy is sticky again! Easilty Removes Hair, Crumbs, Lint, And So Much More! Cleans In Seconds And Becomes Sticky All Over Again!